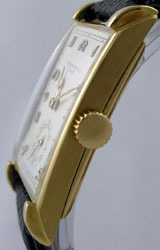 Classic 18k yellow gold high grade dress watch with subsidiary seconds and unique lugs. Original archival certificate included. 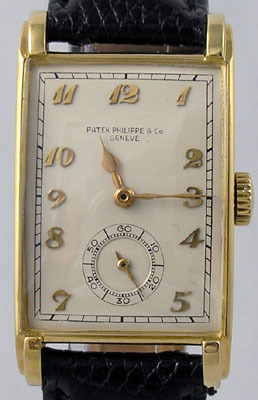 A fine dependable triple signed Swiss watch.